Uniquely located at the gates of Edinburgh Castle, Scotland’s most famous restaurant has become a world renowned institution since its creation by James Thomson over thirty years ago. Hidden within an historic building on the Royal Mile, the Witchery’s unique location, stunning décor and legendary food have ensured the Witchery’s place as an unmissable destination for any visitor to the city. 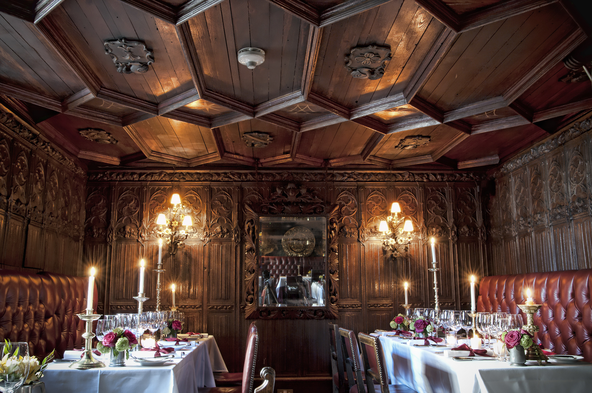 Two dramatic and historic dining rooms offer a memorable setting for indulgent entertaining, where the Witchery’s famously deft service, fine cuisine and exceptional wines combine to create one of the world’s most exceptional dining experiences. An unforgettable experience, the Witchery delivers destination dining at its most magical.